Do you believe in angels? Do you believe there are angels and perhaps aliens amongst us? I do. Yes, I have tackled this topic in the past, and I return to it because I have read that when the world is in turmoil and people are struggling to make sense of difficult conditions, the angels come and walk amongst us to give us comfort and help. Also, I return to it because I believe I met an angel recently… but I’m ahead of myself. Of course, key to this notion of having angels in our midst is the belief that we must also ask for help and believe that we will receive it. This post was inspired by a prompt from Plinky: Do you think aliens have ever visited Earth? Positive Motivation Tip: Angels are everywhere and ready to help us all too… Pay attention. 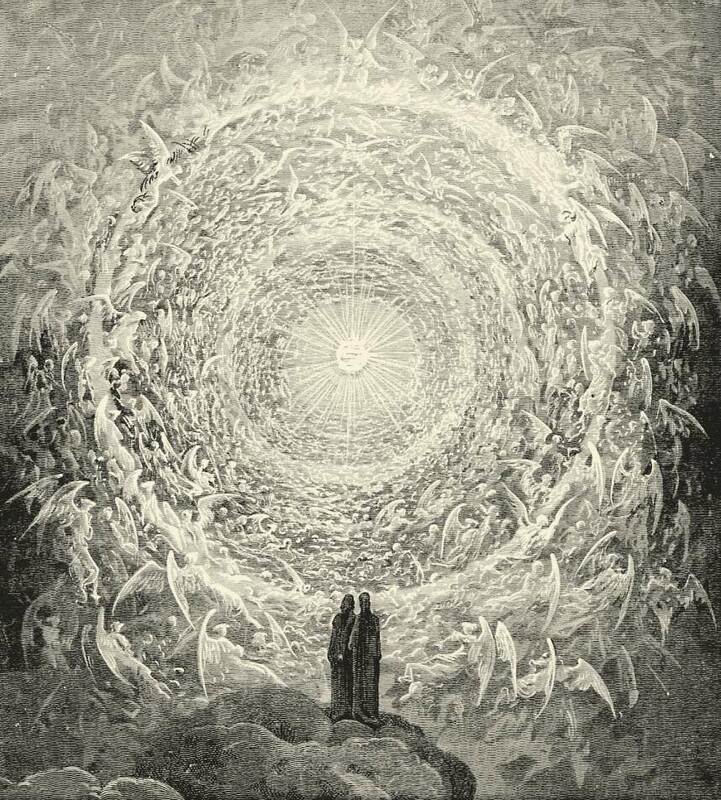 PHOTO CREDITS/ATTRIBUTIONS: All Photos Dante’s Paradiso Canto, Song of angels, Archangel Michael via Wikipedia. There have been times when I have felt protected….here are some phrases about people who practice “metta,” which is to live with a spirit of loving- kindness and generosity….there is mention of angels in there. In the respect of which you are speaking then, yes, I too believe in angels. When I reflect on those instances when angels have guided me, I get chills. Sometime soon, I will write about that! You inspire me! I have no doubt that angels were with me every step of my Appalachian Trail hike. And sometimes in every day life too. And once when I spun my car around in snow at night on an interstate – I was all alone and this man who looked just like Charley in It’s A Wonderful Life showed up from out of nowhere to push my car back onto the road. He was definitely an angel. Thanks for this post, Elizabeth! I do believe Elizabeth…I have seen, spoken and felt…pretty exciting! I do, I do, Elizabeth. This is a beautiful story. I’m glad yours came and brought you the assurance that you needed. Every little thing’s gonna be all right! Oh yes! I’ve been cradled by angels more than once. The voice you speak of was repeating to me as my car was spinning in the air, “You’re going to be fine…. you’re going to be fine…” It was comforting and surreal at the same time. The angel was correct…I was fine. I used to love the show Touched by an Angel ~ it filled me with hope for the future. Thank you for the mention. 🙂 Blessings! This is so lovely. 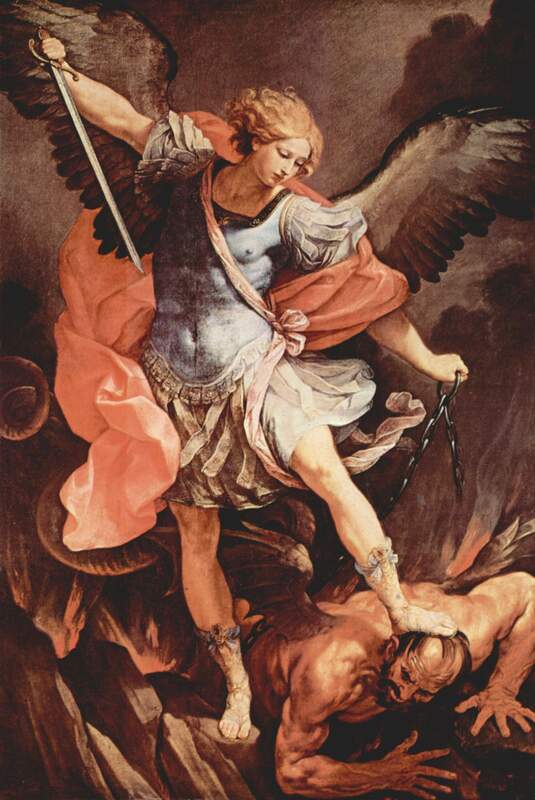 I too believe in angels and I myself and my family growing up and now have been protected in several occasions. And now, after the experience with our babies, more times than I can count. I half expect that one day someone will tell me that one of the nurses that so carefully looked after our babies in the NICU, “was never a nurse at that hospital,” you and the babies are the only ones lucky enough to have known they were there for those 4 neverending months. I haven’t met an angel, yet. But, I have faith that they exist. Yes, I do believe in angels. I have never seen one, but I do feel their presence. And I believe now that an angel helped me save our daughter when she was 3 weeks old.